This is a follow-up on my Wednesday blog about Tim Tebow messing up my plans this week. You’ve heard about the fact that John 3:16, Tebow’s favorite verse, was Googled more than anything else after his victory Sunday. Since John 3:16 is about the good news of salvation in Christ, it’s hard not to be excited about that. He started the season as the third-stringer, and everyone freaked out. Then he got a start and won, and everyone freaked out. Then in his second start, he played horribly and got crushed, and everyone freaked out. Then he went on a winning streak, and everyone freaked out. Then he went on a losing streak, and everyone freaked out. Then he won a playoff game, and everyone freaked out. Brett Favre used to be the go-to name for members of the sports media in need of a column or segment topic. But he went away, and the collective football media panicked. Fortunately, in stepped Tebow. This alone could turn thousands of grateful sports media members to religion. And I'm as guilty as anyone else. In the past two months, I've written approximately 127 Tebow columns. But I've also started tithing. Thanks Tim! ...Will a wholesome, handsome ex-football star who can draw the religious vote and appeal to the tens of millions of Oprah-loving pop psychologists win 51 percent of the vote in the 2024 presidential election? No, he will win 91 percent of the vote in the 2024 presidential election. The 9 percent who don't vote for him will just be hard-core Raiders, Chargers, Chiefs, Alabama, LSU, Georgia and Ron Paul fans. …He can't be stopped. He can't be killed. He just keeps coming for you. Coming for us all. He doesn't want to kill you. He doesn't want to eat your flesh. He just wants to win. He's the world's first wholesome, positive zombie. The only screams you'll hear are his ... celebrating another touchdown. Since I’m working on pulling together a prolife message this weekend, filling in for Bob and Pam Tebow who will be in New England instead of at our church, I thought I would say something about Timmy’s entrance into this world. I’m pulling from a few different sources, including an interview from Pam and also Tim’s comments in his book, Through My Eyes. Who makes disabled people the way they are? Some people think it’s the devil, many think it’s just a tragic accident. What does the Bible say? So let’s celebrate that God preserved Pam Tebow and her son Timmy. But let’s also remember there are countless disabled children and families who need our love and support. 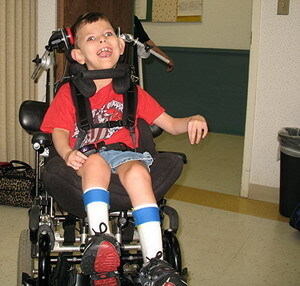 (Joni and Friends is one of the wonderful organizations EPM supports that serves them.) And that even if the doctor had been right about Timmy’s prognosis, killing him by abortion would have been just as wrong, and just as tragic. Finally, if you want a refreshing view of the heart and priorities of a professional athlete, check out this video link sent to me by our friend Diane Meyer. 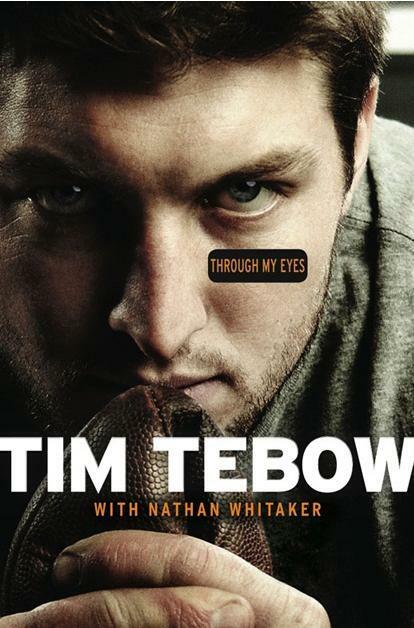 Tim Tebow talks here for seven minutes, mostly about prison ministry. Whether Tim Tebow and the Broncos win or lose against the Patriots Saturday is insignificant compared to the values reflected in this video. Some of you will remember the 2010 Super Bowl commercial, produced by Focus on the Family and featuring a prolife message from Pam Tebow about her son, Tim. I was one of those people tweeting and Facebooking to celebrate Tebow and the Broncos winning their playoff game Sunday. I wonder how many children’s lives have been lost, how many women’s lives have been horribly scarred because church leaders feared the criticisms that would come from people if they allowed terrible pictures to be seen in the assembly. The Bible teaches human beings are made in the image of God (Genesis 1:27; James 3:9). Not just Adam and Eve, but each individual since has been personally created by God (Malachi 2:10). Personhood is never measured by age, stage of development, or mental, physical, or social skills (Exodus 4:11).